Developed to meet the evolving demands of the growing hybrid segment, Toyota Prius had captivated the hearts of its initial buyers, soon after entered the Sri Lankan market, Sinhaputhra Finance PLC, one of the pioneers in importing hybrid vehicles to Sri Lanka. Prof. M. Kulasooriya from Kandy, one of the customers said he now has a vehicle at extremely low running costs, hassle free and fulfilling his obligations towards a cleaner environment. Another customer of Toyota Hybrid, Mrs. M. Siyambalagatenna, from Kandy shared her views and said that it was certainly the best car they have ever owned. "Once you appreciate Hybrids you will never go for a non hybrid. Nothing on the road compares, really happy with the purchase." A multi-information display panel that monitors fuel and energy consumption provides feedback on the Prius' efficiency to help the driver acquire economical driving habits. "From fuel economy to the gas engine starting and stopping as the computer sees fit; it is truly a technological marvel," stated T.E. Alahakoon, another happy Toyota Hybrid customer from Kandy. 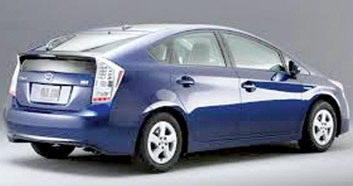 Unlike most other hybrid vehicles available, Prius has been a "full" hybrid since introduction. This allows it to run on engine alone, battery alone, or a combination of both. To reduce the transport costs, and environmental harm caused by corporates who incur heavy travelling costs, Sinhaputhra Finance PLC also launched its Hybrid Fleet Management Service, which includes full insurance and free services matching rates of conventional petrol and diesel guzzlers offered by other financial institutions. Operations Director Saliya De Alwis overseeing the Vehicle Imports and Fleet Management service, reported that "The turning point of sales came with the fleet management options after the Prius became more expensive due to unprecedented initial demand." Sinhaputhra Finance Imports Manager Nihal Fernando, stated that, "Its truly value for money as the rate for conventional petrol and diesel vehicles attract 120% in taxes, a Hybrid attracts only 50% in taxes, this too lets you own a better car for less." With many Hybrid service stations coming up and further interest of new ventures, the customers are further secured and very well taken care of. Mahindra 'Great Escape' for Lanka? 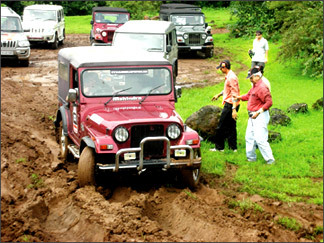 India's Mahindra & Mahindra Ltd. started the Great Escape event sometime in the mid-eighties. Meant to be a small get-together of Mahindra owners for a day out off-roading, this event has become an integral part of the Mahindra culture. Eagerly awaited every few months and massively participated in the Great Escapes have become off-roading jamborees with as much song and dance as mud, slush and sand. In essence the Great Escapes are organised by the company to give its customers a chance to explore the full off-roading capabilities of their vehicles safely and with a lot of fun. The Great Escape has been organised in various parts of the country with much success; each region giving a flavour of its terrain. Whether it's the monsoon rains of the South or the winter charm of the North, there is something memorable from each Great Escape. Even entertainment is provided in the night. What adds further draw to the event is the strong support and expert back-up team which ensures that participants are not bogged down by vehicle breakdowns. 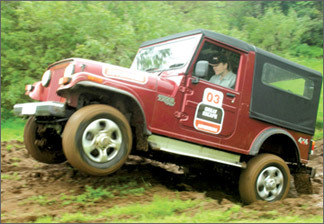 The last leg of the Great Escape was held at the picturesque adventure track of Aamby Valley. 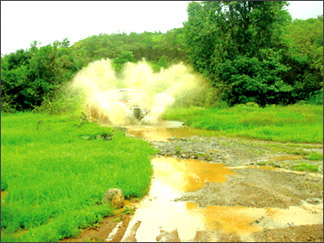 It is a 15 kilometer drive from Lake Pavna and a 3 hour off-road course after that, in Maharashtra Province. Since no regular event of this nature is hosted in Sri Lanka sales manager Ideal Motors Kumar Kanagaratnam agents for Mahindra said they would explore the possibility of organising a similar event in Sri Lanka. Two Swedish unions on Monday asked a district court to formally declare beleaguered carmaker Saab bankrupt so the company's union members can receive their still-unpaid August wages. Saab has struggled for weeks to raise cash and its employees have not been paid August wages.